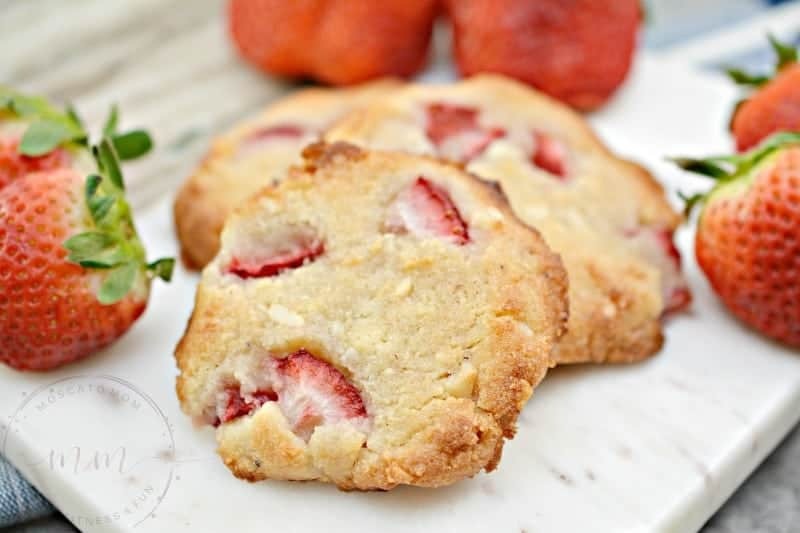 Keto Macadamia Nut Cookies with Fresh Strawberries are a sweet treat with great macros to help you stay on track with your keto lifestyle! 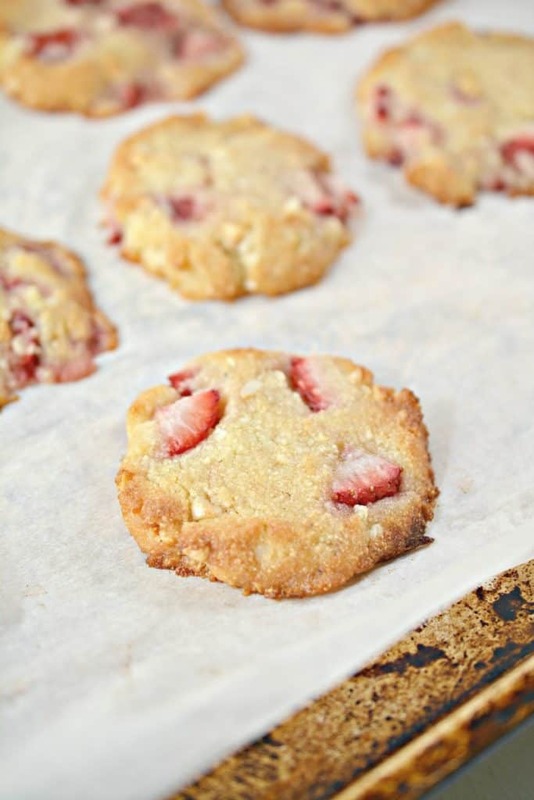 These are keto cookies everyone will love! 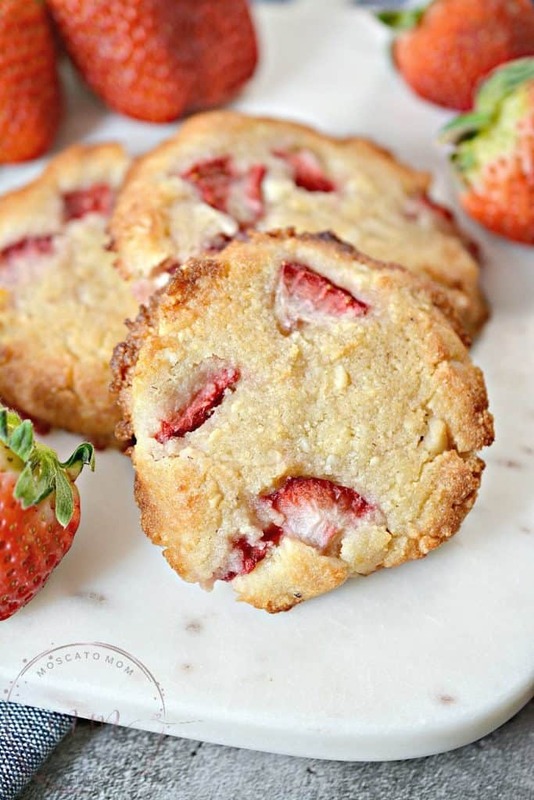 Like I mentioned in my Fresh Strawberry Keto Fat Bombs Recipe, I am a little obsessed with fresh strawberries right now. 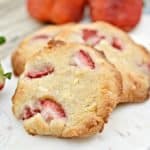 But these cookies are tasty with or without the strawberries! Macadamia Nuts are a delicious healthy fat that are said to have great health benefits. From improving brain function to heart health to preventing disease and strengthening bones – these little nuts are nutrient powerhouses! 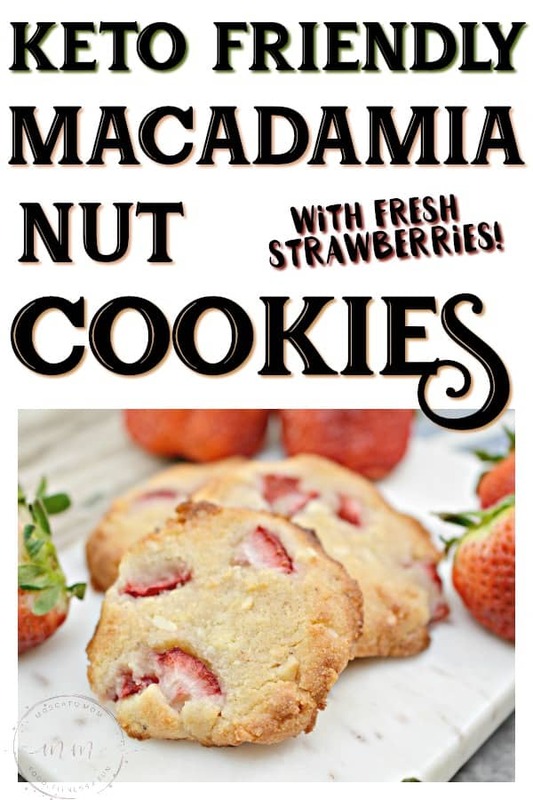 Plus they are buttery and delicious and make these Keto Macadamia Nut Cookies one of my all time favorites. I have also recently discovered Oh! Nuts Almond Flour and love it! Almond Flour can be pretty pricey – and I found it on Amazon at a fraction of the price my local grocery store offered. Since I use it for practically everything these days I got the big bag which seals up perfectly between uses! This is my new Keto Staple for sure. 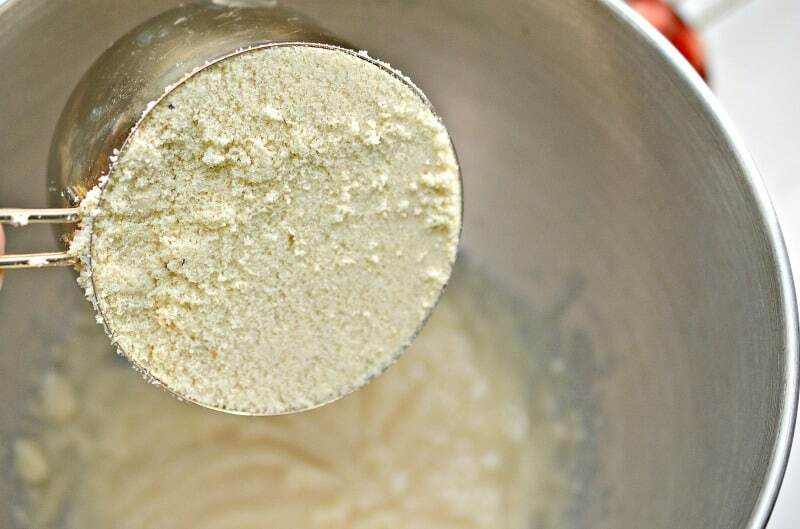 In a mixing bowl, beat together the melted butter, erythritol, vanilla and almond extracts until smooth and creamy. 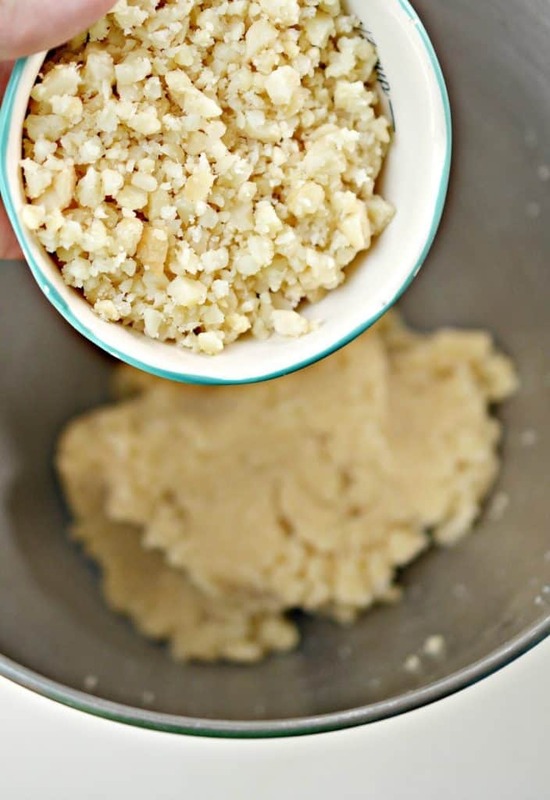 Add in the almond flour, and mix until combined into a crumbly moist dough. 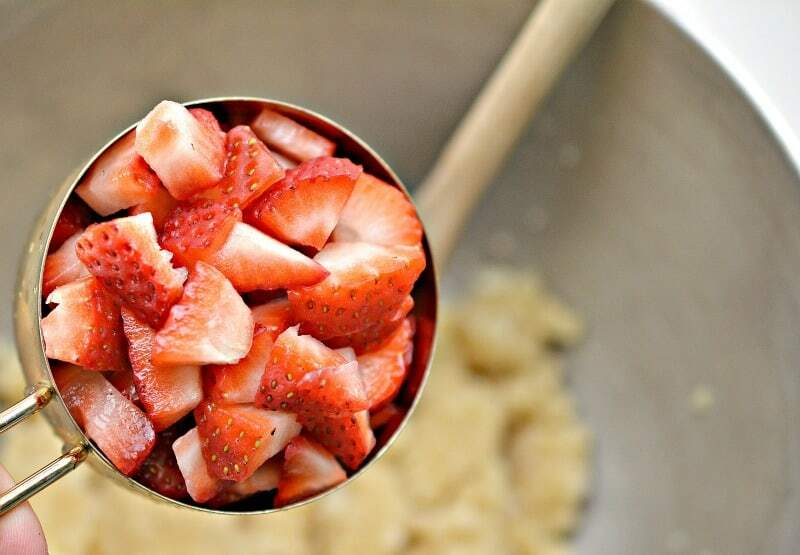 Gently fold in the chopped strawberries, careful not to overmix or mash them. 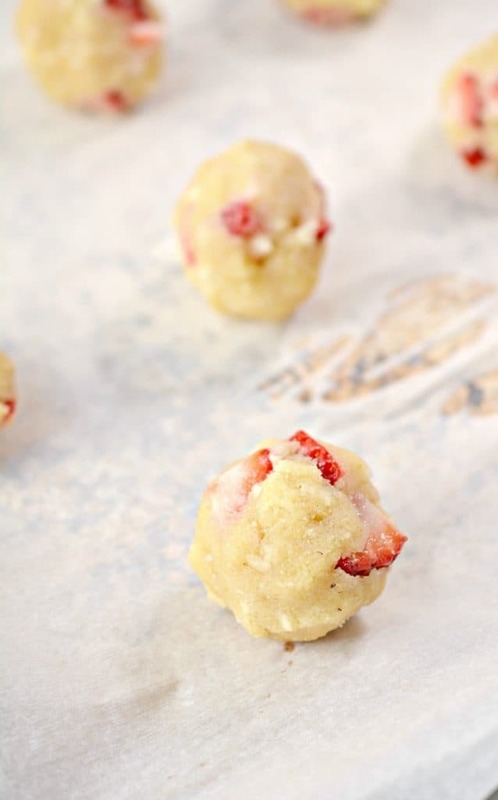 Form the dough into 10 equal sized balls, and place them on a parchment lined baking sheet. Flatten the balls into cookie shapes, and shape the edges together with your hand as you flatten them. Bake for 10-12 minutes until lightly browned on the edges and cooked all the way through. 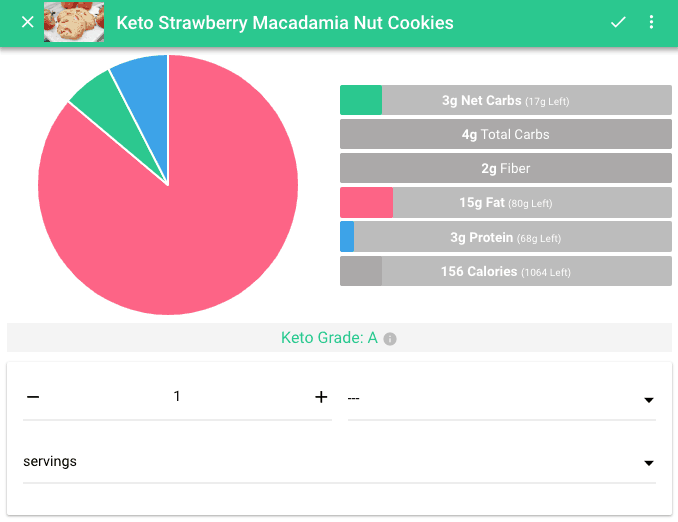 Each Keto Macadamia Nut Cookie with Strawberries has 3 net carbs, 4 total carbs, 2 g fiber, 15 g fat, 3 g protein and 156 calories. This gives them an A rating! 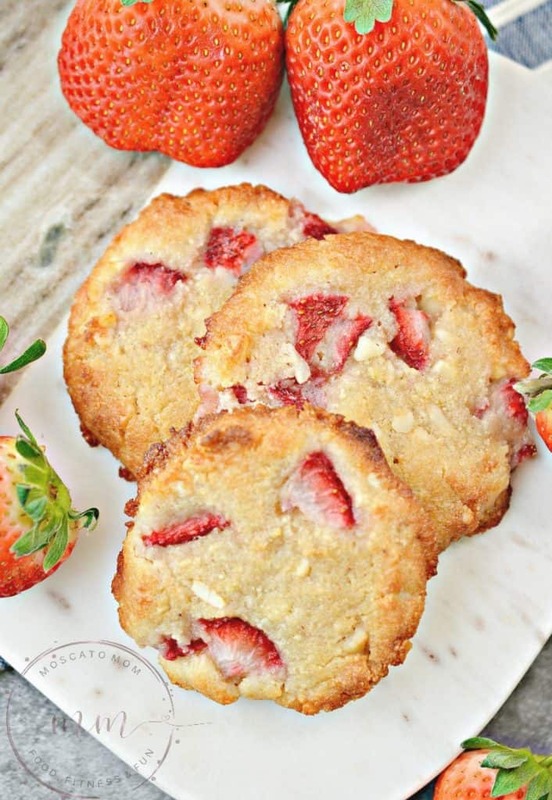 Keto Macadamia Nut Cookies with Fresh Strawberries are a sweet treat with great macros to help you stay on track with your keto lifestyle!